I‘ve always dreamed about living on Martha’s Vineyard, even though technically I’ve never been there. 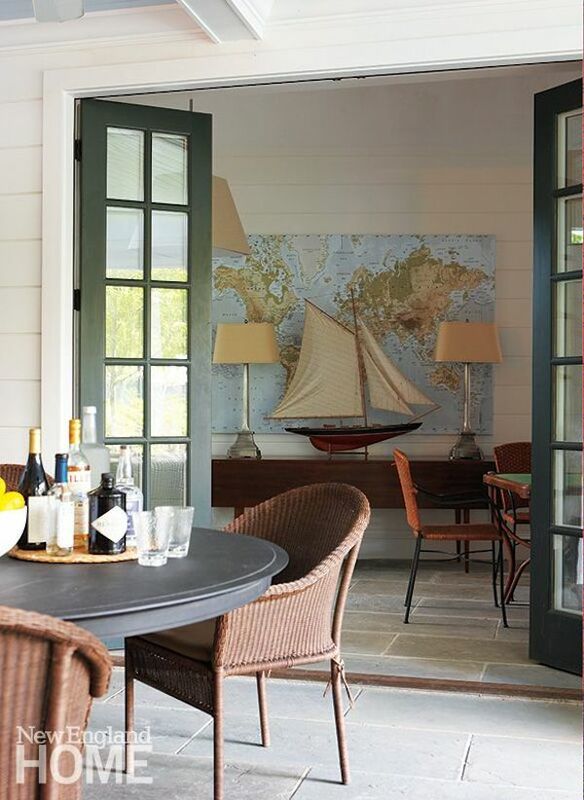 I stumbled upon this lovely home on Martha’s Vineyard at New England Home and found so many ideas that inspired me, I thought it would be fun to share some take away tips. I love take away tips because they help me to think creatively about my own space and how I can incorporate the things I love on a budget I can afford, or in a way that suits our own home. Being a fan of small spaces, I’m always so pleased to see a tiny room that is both stylish and functional. Isn’t this bed just the cutest? 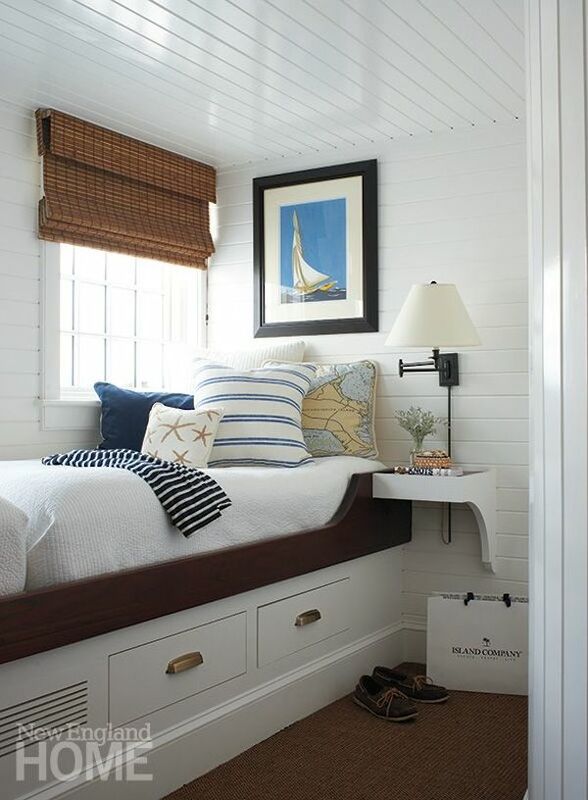 Even if you couldn’t build in a bed to a small room, tucking a twin sized bed or day bed against the wall creates a cozy nest, perfect for curling up with a good book and watching the ocean waves outside the window. Okay, well…even if we don’t have the ocean waves outside, we can dream, right? Another thing I love about this room is the built-in shelf and swing-arm wall sconce. These two elements give the most bang for the buck without taking up any floor space, and the light leaves the shelf free for bedside convenience. If your house happens to have little nooks and crannies or unusual rooflines, play up the personality and make a confident design statement! 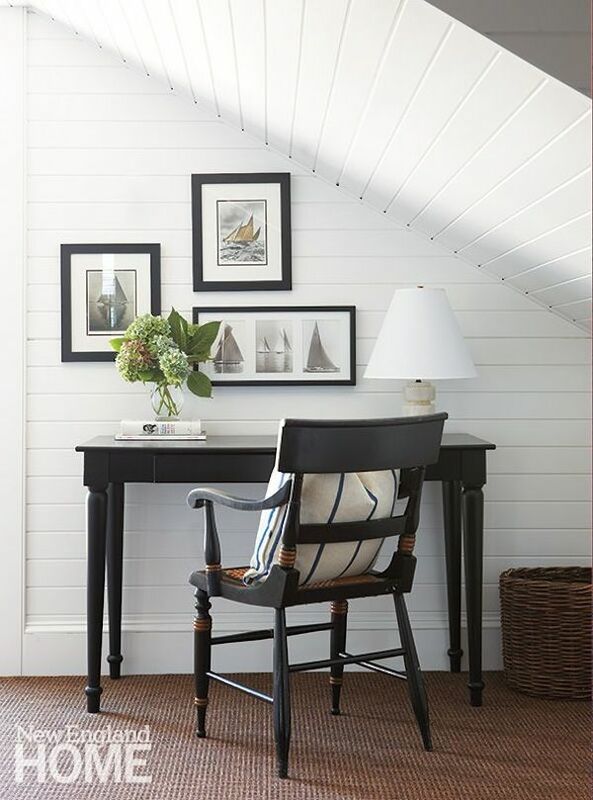 While those angled walls and ceilings can pose some unique challenges for arranging furniture, they sure can make a cozy and charming nook for a little desk or writing table. The paneling on the walls creates a perfect textured backdrop, but even without it, this little corner would have great personality. The simple black and white color scheme paired with classic furniture choices and the black frames make a strong statement with minimal fuss or clutter. While I definitely think it’s a great idea to pay attention to your surroundings and part of the country as you decorate your home, there is nothing wrong with a little creative dreaming. I am a sea-loving girl, so I’m inspired by anything that hints at life near the water. I tend to not like decor that gets overly beach themed especially if it’s not meaningful, but I just can’t help loving nautical influences in colors and special elements. Incorporate what inspires you! 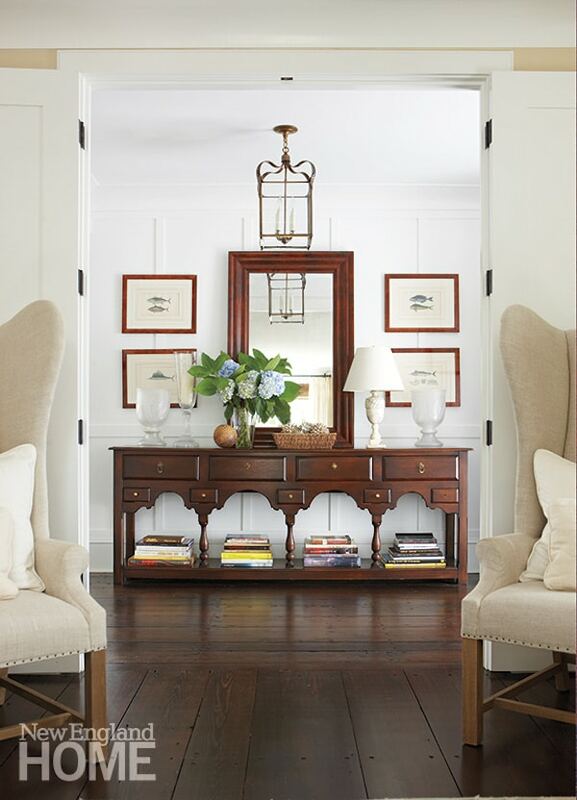 One surefire way to have a clean and orderly feel to your home is to utilize symmetry and repetition. This room is a prime example! Check out the pair of linen chairs, the set of vases on the console table, the artwork flanking the mirror, and the neat stacks of books repeated across the bottom of the table. For a cozy room that isn’t cluttered or overwhelming, pair down to the essentials. Focus more on your key pieces of furniture like seating, a coffee table, end table and lighting and less on cluttering up the space with accessories or unnecessary extras. Bring more style to your essentials for an effortlessly comfortable and beautiful room. What gorgeous inspiration! I too dream of living there,, but have never been. Maybe something I should list on my bucket list. If I can only take those gorgeous floors and stick them in my home I’d be one happy lady! I just adore the white paneling in these rooms! What a difference it makes in making each space pop. And you are right about a cozy bed against the wall…always love a good, cozy nook :). Great share! Hello! Just found your blog today via Tidymom and LOVE it! What a wonderful place to get such beautiful inspiration! Congrats on the book too! 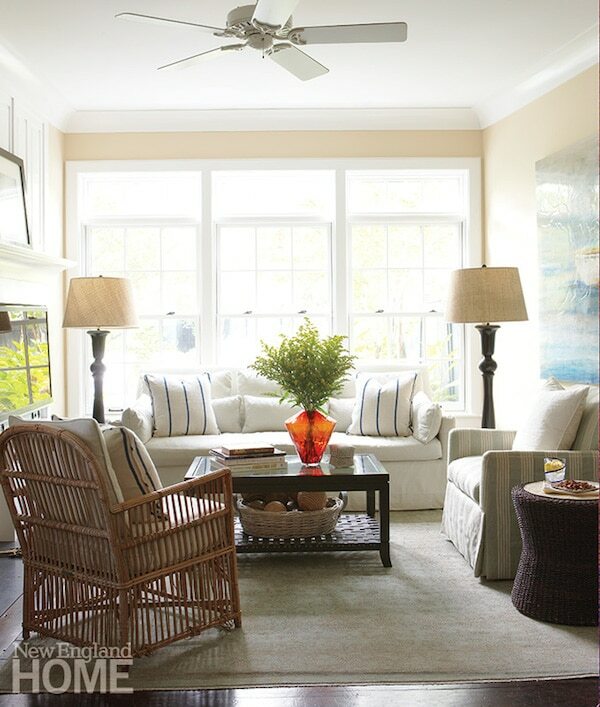 Melissa, I pinned away, this is so much the look I enjoy for my home, and like you, I am always dreaming of a beach cottage so why not make our homes feel like they could be plopped down on the ocean front!! Thanks for sharing your take away tips. I’m new to your site today. I’m loving it! I searched for ideas for front door colors but couldn’t find anything. 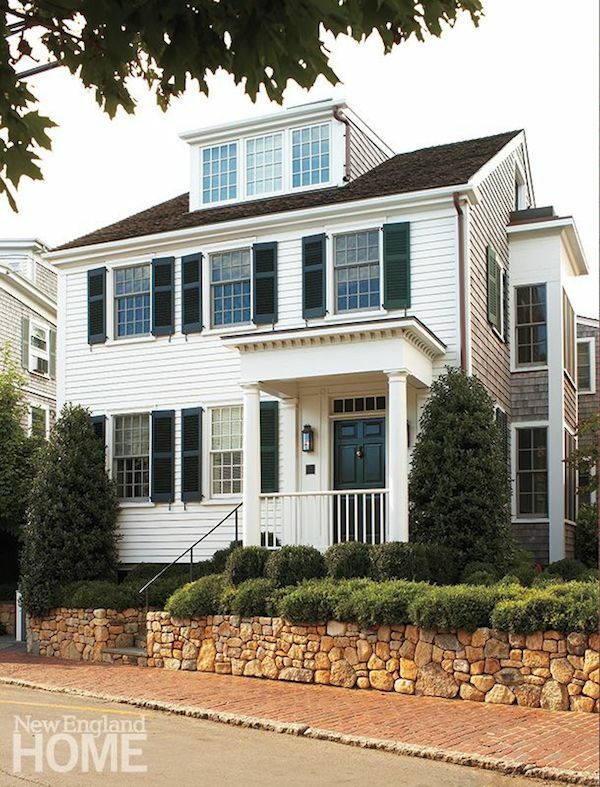 My home is light gray with black shutters and black shingles. Unfortunately I paid to have someone help with a color and I do not like it (green). Do you have any suggestions or can you let me know if I’ve missed a past post? I’m on my way to Barnes and Noble for your new book! Melissa, I picked up your book yesterday and spent the afternoon reading…I can’t tell you HOW much I’m enjoying it! Loving the home I have is something I’ve needed to do for a long time now, and haven’t known how–but what you say just resonates with me. And it helps to know that you’ve been there/done that, too. Even as I read, I made some notes about even some little things I can do NOW to make the house that I live in truly my home–one I love and one that I can genuinely share with my family and friends. Can’t wait to read more! THANK YOU, from the bottom of my heart! Love all of these takeaway tips. So many I can incorporate into my own home. Love your post, blog and congrats on your new book! I have a manuscript in the works that I, too hope to get published. :) You’ve hit the nail on the head with your Vineyard style. I live in Massachusetts and am a frequent visitor to the Vineyard. I love it! The smells, the atmosphere and all the goodness that the island brings. I have actually written a chapter about it in my “hope to be published” manuscript. I live in a small New England town, which is not far from Boston and the charm and craftsmanship of the New England home rings through many homesteads here. My husband and I are currently rehabing a 4,000 square foot home and I am taking many of your tips! Thanks again for a great post! I can’t wait to read your book. These are great tips! I love tip #1, since I’m also a fan of small spaces. I think it’s super fun styling a small room and making it functional too. I found your blog about a year ago and read EVERY single post you have written. After reading I began to be brave in my home. You’ve inspired me, taught me to use what I have, shown me importance of making my home work for our family, and helped me to look at things so I can take away “tips”. I am so happy you’ve been brave enough to write your book and am thrilled about the bhg award. Love your blog. It has truly inspired me. I have a new beach home. Any suggestions on where to find kitchen table and wicker chairs as shown in the article. I didn’t find any source on NE home magazine.